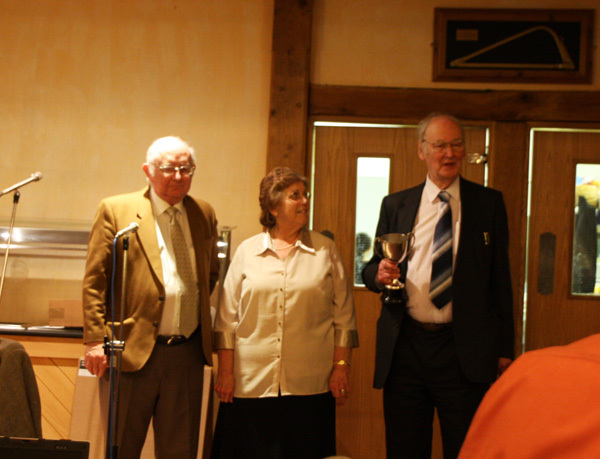 This year's winners of the Patron's Cup were Mike and Jill Comben. The cup was presented by SDRA Patron David St John Thomas. Mike and Jill Comben receive the Patron's from the Patron himself. 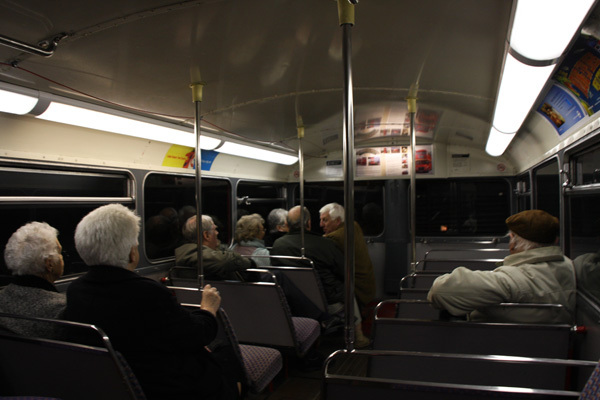 Just like last year the Railway's Routemaster RM1872 was used to transport members to and from the dinner. The illuminated advert, which had had a Thomas the Tank Engine advert in it, gained a bespoke information panel providing our customers with data on the 'bus. The refurbished lower deck or the Railway's Routemaster RM1872 - note illuminated advert. The speaker for the evening was a former Brixham pilot who kept us suitably entertained with many tales of ships and shipping he'd helped into local harbours. The original painting for the SDR poster had been donated by the artist Geof Pattern so it was auctioned off. The Patron won the auction and made an inpromptu presentation of the painting to out going General Manager Richard Elliott.